Woah. 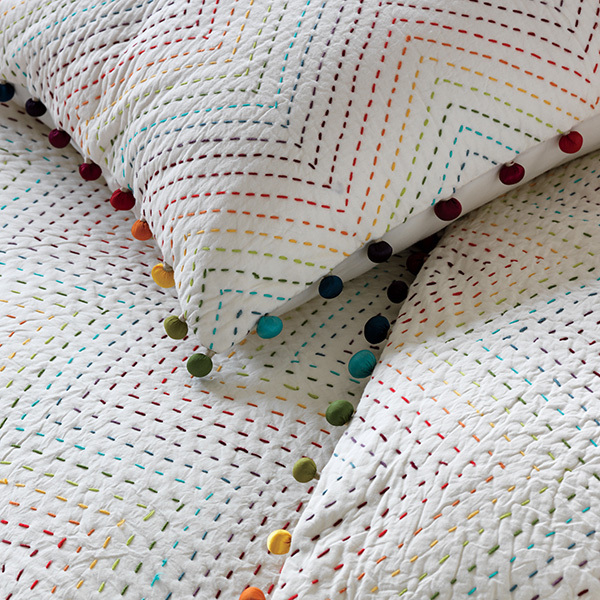 DwellStudio sure know how to make a linen lover positively giddy by combining all of the best things – think chevron, rainbows and pompoms – to make one magnificent bedding set. Nope, you’re not dreaming, though if you were to be tucked up tight in this sweet set, you soon will be! Time after time, DwellStudio do a brilliant job when they turn their hand to bedding, so no wonder the Pom Pom Duvet Set (from US$249) caught our eye in a second. We adore its stark white background, dotted with perfect rainbow coloured hand-stitches to create the ultimate embroidered chevron pattern. 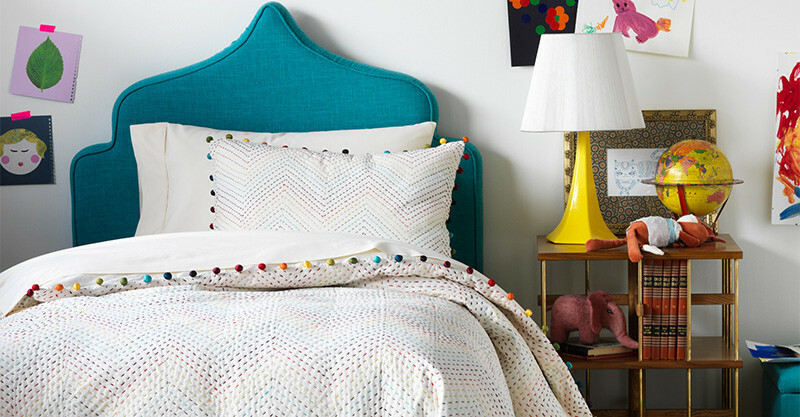 And as if a chevron rainbow isn’t enough, DwellStudio then finishes off the duvet with a wonderful rainbow pom pom trim – each and every one attached by hand. Is it too much to call this bed set a work of art? I think not. Currently, the DwellStudio Pom Pom set isn’t available in Australia, so you’ll have to be creative in getting it here, either with a re-shipper or a good friend flying to the US. If you love DwellStudio’s style, be sure to check out our post on their Spring 2015 nursery collection.